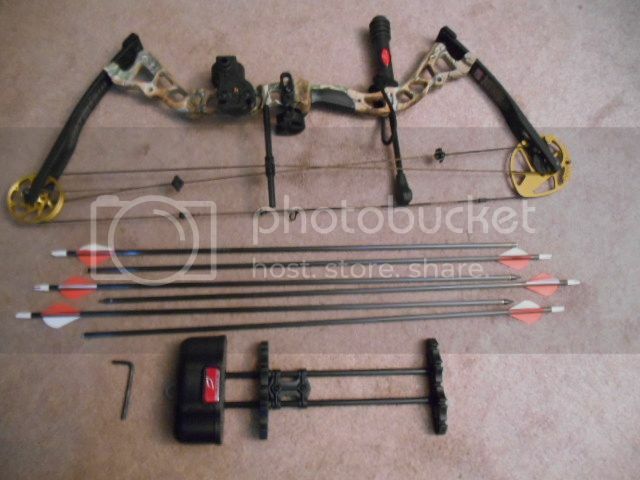 Selling my Bowtech Instigator. 27", 65#. I just don't hunt. It's 2 years old, never been in the woods. As new. It comes with the sight, whisker arrow rest, strap, stabilizer, etc. It's field ready. $300 OBO. I'm including CS Carbon arrows and the quiver in the picture. Open to trades as well. Last edited by joseywales; August 12th, 2016 at 12:16 PM. Honey, sell my guns for what they're worth and not what I told you I paid for them. Another bump. Open to trades as well. Among other toys, left-handed rimfire and shotguns considered. Sniff, sniff...is that archery season I smell? I can meet at the upcoming Oaks Show.